We stand behind every job we do and we take pride in each transmission that we have on the road. 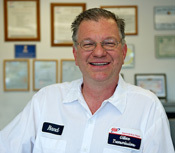 We proudly offer an ATRA Nationwide Warranty. Our service come with a standard 12 month/12,000 mile warranty, with options of a 2 year/ 24,000 mile, or a 3 year/36,000 mile warranty. Our warranties give our customers the piece of mind and flexibility to go to any approved Automatic Transmission Rebuilders Association (ATRA) Shop in the USA, should they ever encounter a problem while traveling. An Automatic or Manual Rebuilt Transmission is a process that requires the transmission to be removed from the vehicle. The transmission is then disassembled, cleaned and inspected by one of our specialized rebuilders. Each worn and broken part is replaced, as well as all of the gaskets and seals. In an automatic transmission, the torque converter is also disassembled and all parts are replaced. Just like manual transmission cars, cars with automatic transmissions need a way to let the engine turn while the wheels and gears in the transmission come to a stop. Manual transmission cars use a clutch, which completely disconnects the engine from the transmission. Automatic transmission cars use a torque converter. A torque converter is a type of fluid coupling, which allows the engine to spin somewhat independently of the transmission. If the engine is turning slowly, such as when the car is idling at a stoplight, the amount of torque passed through the torque converter is very small. If you were to step on the gas pedal while the car is stopped, the engine speeds up and pumps more fluid into the torque converter, causing more torque to be transmitted to the wheels. A differential is the part of your vehicle’s drive train that allows the left and right wheels to turn at different speeds when making turns. A rebuilt differential requires us to remove the differential from your vehicle, disassemble, clean and inspect. All parts that require replacement are replaced with quality parts and reassembled. 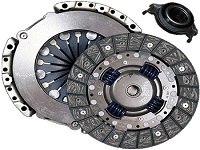 A Clutch is a mechanical device that provides for the transmission of power from one component to another. 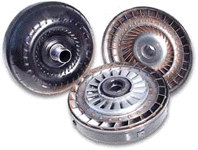 In the simplest application, clutches are employed in devices, which have two rotating shafts. In these devices, one shaft is typically attached to a motor while the other shaft (drive shaft) provides output power for work to be done. A Clutch connects the two shafts so that they may be locked together and spin at the same speed (engaged), locked together but spinning at different speeds (slipping), or unlocked and spinning at different speeds (disengaged). Clutch pads longevity depends on how vigorously the car is driven. 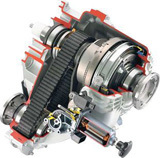 A transfer case is a part of a four-wheel-drive system found in four-wheel-drive and all-wheel-drive vehicles. The transfer case is connected to the transmission and also to the front and rear axles by means of drive shafts. It is also referred to as a: transfer gear case, transfer gearbox, or a transfer box. The transfer case receives power from the transmission and sends it to both the front and rear axles. This can be done with a set of gears, but the majority of transfer cases manufactured today are chain driven. Anyone can give a quick price over the phone. Gillece does not offer a price over the phone because a price quote without the proper diagnosis is meaningless. We don't want to repair your transmission, if it turns out just to be a loose wire. We want to make the right repairs, and do what's right for you. Through diagnostic services. we check all external and electrical components on the vehicle. Our diagnostic procedures will determine whether it's an internal or external transmission failure, such as a sensor. A proposal is then generated based on the parts and labor needed to repair and return your vehicle to it's best working order. 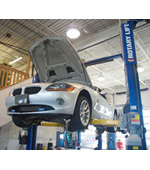 Through our comprehensive diagnostic process we are able to determine exactly what is wrong with your vehicle. By utilizing state of the art scanners, computer programs, test gauges, and wiring diagrams we can pin point the exact location of the problem. We also perform a complete diagnostic check on your fluid pressure, sensor functionality and wiring. 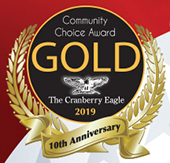 We are able to perform diagnostic services on all types of vehicles; all makes and models, foreign and domestic: Cars, Trucks, SUVs, Motor Homes. Once a transmission is rebuilt, the unit is tested on one of our two transmission dynamometers. Our machines can test the transmission line pressure, shift point and response time, downshift and converter lockup, and stall speed. During the test, it can be detected if there are any leaks and minor adjustments can be made if necessary. Once installed into the vehicle, the transmission is road tested multiple times and scanners are hooked up to make sure that the transmission is operating properly.